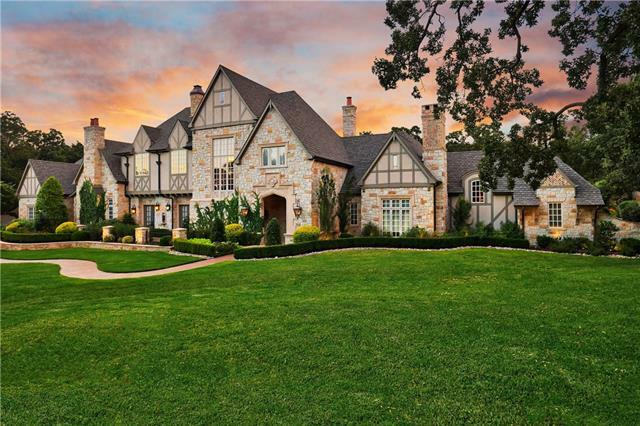 All Southlake homes currently listed for sale in Southlake as of 04/20/2019 are shown below. You can change the search criteria at any time by pressing the 'Change Search' button below. 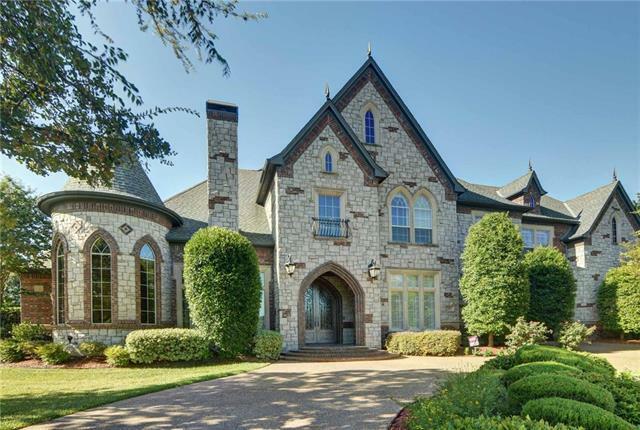 "Exquisite Estate Home in the Heart of Southlake is located on the Prestigious White Chapel Boulevard! Location is Everything! This home has been completely transformed with a Multi-Million Dollar Remodel! This estate is on over 5 acres of lush and manicured landscape, offering Over 2000 Sq Ft of Resort Style Outdoor Living Area, Claffey Pool & Spa, Half-Mile Crushed Granite Jogging Trail, 4 Golf T Boxes & Practice Greens, Professional NCAA Sand Volleyball Court and Beautiful Pond with Water "
"Find Unsurpassed Superior Quality & Rich Exquisite Finishes Tucked Away In A Private Gated Estate. Custom Designed by Nyhoff Architecture, this Open Floor Plan is an Entertainer's Dream Offering an Elegant Flow Boasting a Gourmet Kitchen w Top of the Line Appliances, Light & Bright Living Areas & Captivating Views. Enjoy the Main Level Media Room, 2nd Floor Exercise Room, Oversized Game Room w Wet Bar & Large Balcony that Overlooks the Backyard Paradise. The Spa Like Master Retreat w Beautiful N"
"Exquisite Estate Home positioned on large lot. Open floor plan with designer finishes throughout the home. Formals offer floating walnut staircase, marble floors, soaring windows, elegant lighting, and handsome fireplace. Gourmet kitchen with rich hardwood floors Subzero-Wolf appliances, walnut custom cabinetry, and expansive island. Master suite features spa-like bath with onyx counters and floors, dual entry shower, vessel sinks, infinity tub, and large bedroom with fireplace, private exercise"
"MODERN MAJESTIC MASTERPIECE. Welcome to transitoinal's future where elevated natural light cascades into the main atrium from a myriad of angles providing open views spanning 60 ft. from entry to retractable doors, leading to indoor-outdoor flexible living. This is paradise re-imagined. Open atmospheric kitchen with oversized duel islands, custom eat-in booth. Multi-use spaces allow for lifestyles of all speeds. 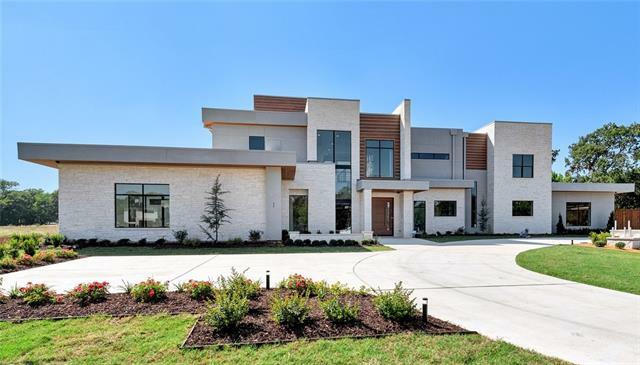 The truest essence of this home is captured by the seamless combo of entertainment"
"HATFIELD CUSTOM HOME IN THE EXCLUSIVE GATED MOSS FARMS SUBDIVISION OF SOUTHLAKE. GOURMET KITCHEN WITH WOLF, SUB-ZERO, & COVE APPLIANCES. PREP KITCHEN WITH WOLF, SUB-ZERO, & COVE APPLIANCES. WALK-IN CHILLED GLASS WINE ROOM, PRIVATE MASTER WITH COFFEE BAR, DOWNSTAIRS MEDIA , DOWNSTAIRS GAMEROOM, POOL BAR, AND UPSTAIRS GAMEROOM. Buyer and buyer's agent to verify all information in this listing. 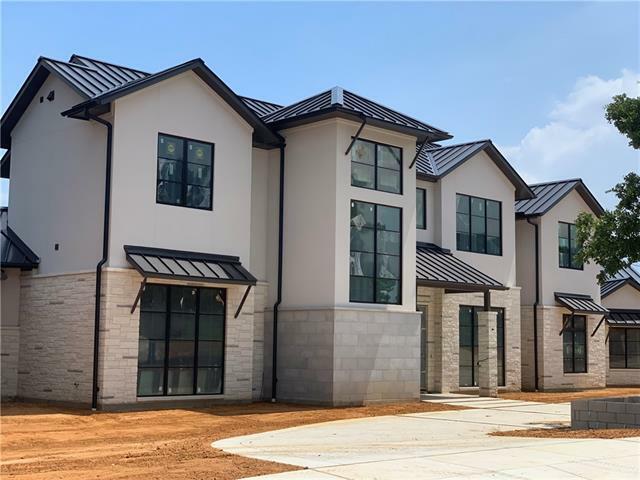 ************(COMPLETION DATE SUMMER 2019)************ LISTING AGENT CRYSTAL HATFIELD (214)668-2346"
"Now Under Construction! 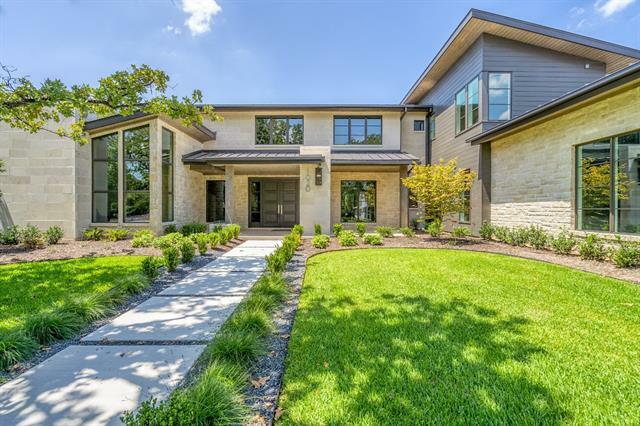 Custom modern clean-lined home built by DeCavitte Properties in Westwyck Hills. Don t miss the final home being built in this upscale, quiet community in Carroll ISD! Designed for livability & entertaining. Luxurious materials provide the latest designer look. Gourmet kitchen & prep pantry, spa-like master bath, 1st floor media & game room, 2nd floor has 3 bedrooms & game room perfect for kids and guests. Sliding wall of glass opens to outdoor living area, kitchen, "
"Beautiful prime estate property located in the heart of Southlake. This property is combined with 1288 Sunshine and 1284 Sunshine both are 1 acre parcels for a combined total of 3.911 acres. 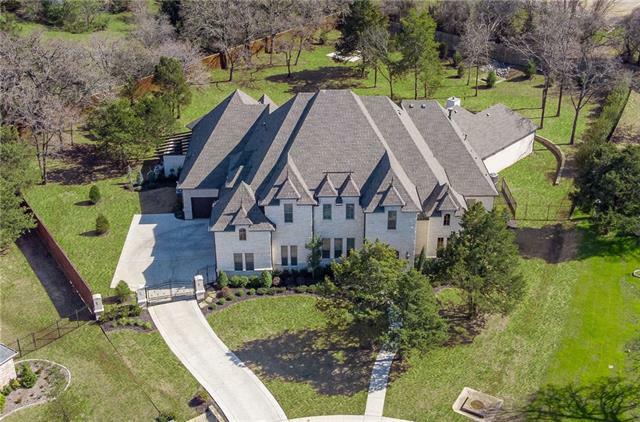 This property is surrounded by estate homes with easy access to 114, Southlake Carroll Schools, shopping and restaurants, and minutes from DFW airport. The value is in the land and this location is fabulous! 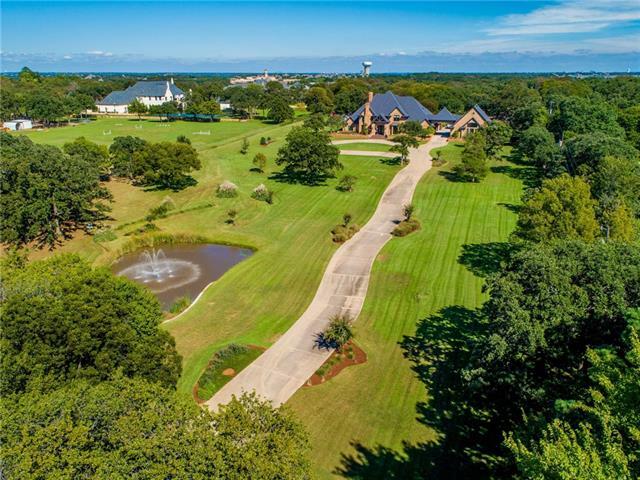 Pictures will be up 8.22.2018"
"BREATHTAKING NEW Calais Custom Estate in Southlake's gated Moss Farms with CARROLL ISD SCHOOLS! This home boasts the latest in designer trends while still classic. 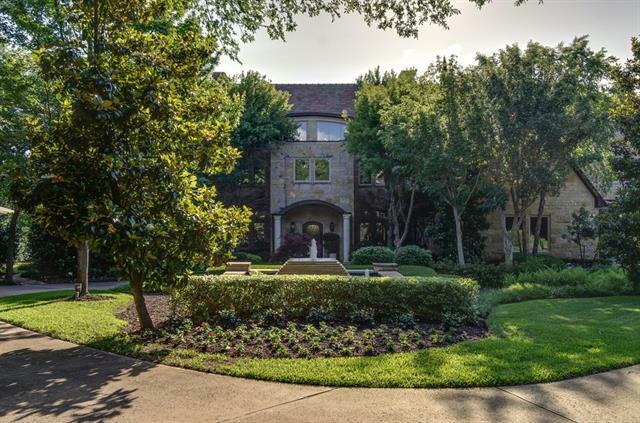 Grand Iron doors welcome you to the 2 story foyer with sweeping staircase, Great Room open to Kitchen with cascading doors to large loggia, caterers kitchen, Media or flex room down, private guest suite down, stunning Master bath and mud room. Upstairs features 3 bedrooms all en-suite, 2nd utility and Game Room with wet bar. 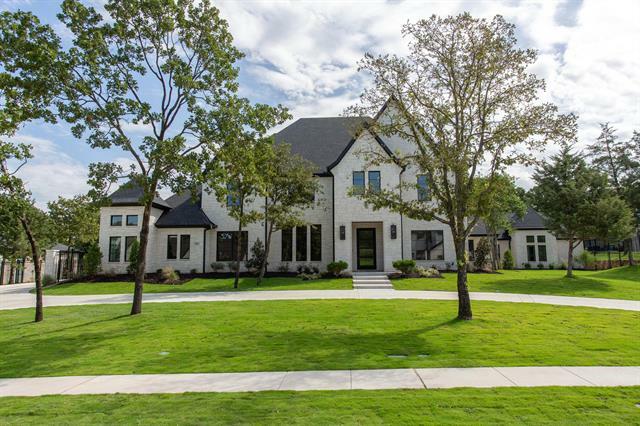 NEED EXT"
"Spectacular new construction by award-winning Atwood Custom Homes! 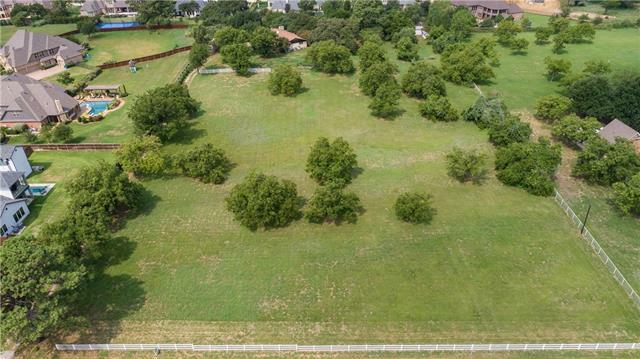 Nested among beautiful mature trees on a 1-acre corner lot surrounded by multi-million dollar homes. Gated subdivision for privacy. Unique Austin Hill Country Modern style with clean lines, elegant finish out and attention to detail throughout. Entertainer's dream with an open concept, privacy and in the heart of Southlake! Construction starting soon with completion Spring-Summer 2019." 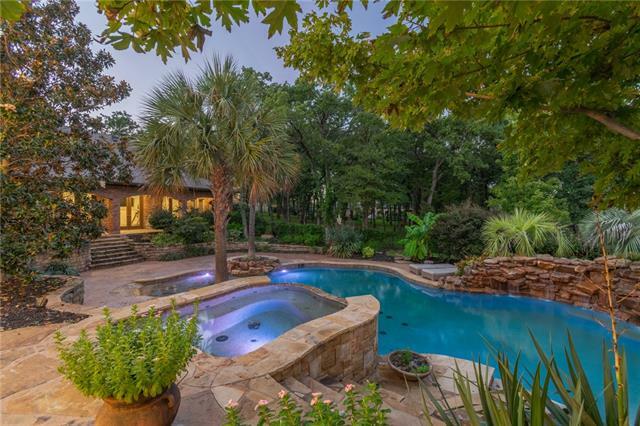 "Exquisite custom private gated estate set in secluded wooded countryside of Southlake. No HOA! Close to schools, Town Square, shopping and Hwy 114.The exceptional floor plan has media, guest and huge master suite on main floor. 1000 feet of separate his and her baths dressing and closets. The kitchen is open to the large open family room and is perfect for entertaining with full bar room and see through fireplace to dining. Multiple living spaces including second floor exercise ballet studio. 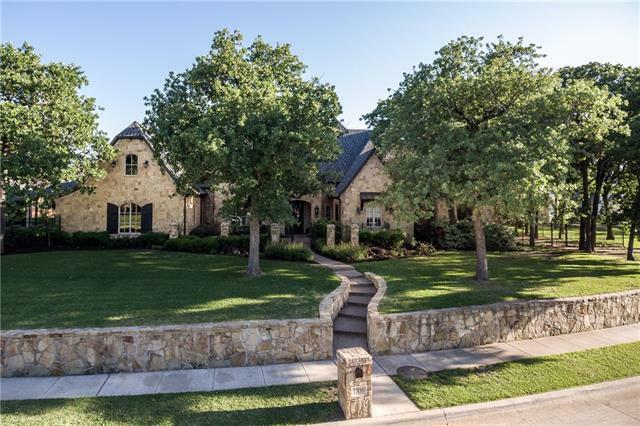 Ba"
"Located in Southlake s new, ALL CUSTOM home community, Shady Lane! New Garabedian Properties fully custom home is under construction and ready in 2019! Located on a substantial, heavily treed, 1 acre lot, this finely tailored home has 5 bedrooms, 5.2 baths, and 4 car garage. 1st floor includes a study, flex room, master suite with spacious master bath and walk-in closet, game room, media room, guest suite, grand living room, spacious kitchen, and views of the incredible outdoor living space. 2"
"CONCIERGE AUCTION: Bid April 23-25 Selling at or above $2.5M. Previously $3.5M. Open Daily 1-4 PM by Appt. Blending Old World enchantment & everyday luxury, one-of-a-kind family estate. Delight in the storybook fa ade & the handcrafted finishes as you revel in modern creature comforts. Designed for entertaining, the expansive formal dining room is the perfect setting for four-course dinners or holiday feasts. Whether you are in the mood for an intimate gathering or a festive gala, the grotto-st"
"CONVENIENTLY LOCATED MINUTES FROM TOWN SQUARE. THIS FINELY APPOINTED CUSTOM HOME INCLUDES: GOURMET KITCHEN WITH WOLF, SUB-ZERO, & ASKO APPLIANCES. PREP KITCHEN WITH WOLF, SUB-ZERO, & ASKO APPLIANCES. WALK-IN CHILLED WINE ROOM, PRIVATE MASTER WITH COFFEE BAR, EXERCISE ROOM, DOWNSTAIRS MEDIA, DOWNSTAIRS GAMEROOM, POOL BAR, AND UPSTAIRS GAMEROOM WITH WET BAR. Buyer and buyer's agent to verify all information in this listing. 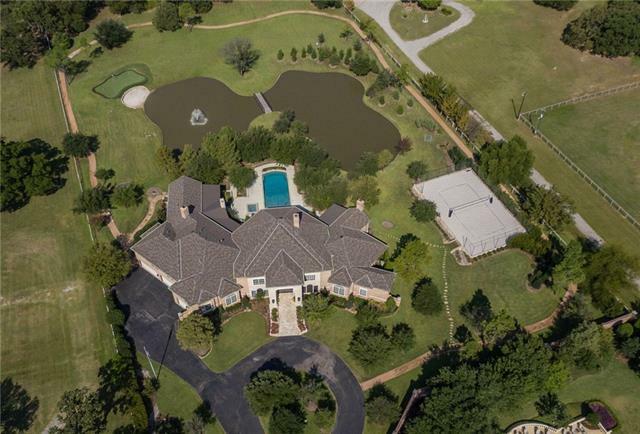 (AGENT IS OWNER) Crystal Hatfield (214)668-2346"
"Mediterranean masterpiece situated on a gated, private acre lot offering a 9 CAR GARAGE!!! Incredible finish out w hardwood floors throughout, concrete tile roof, full stone exterior w brick accents, Millwood windows & doors, private courtyards. Gourmet kitchen w Viking appliances and large center island. Red Panels on appliances can be easily changed to SS. 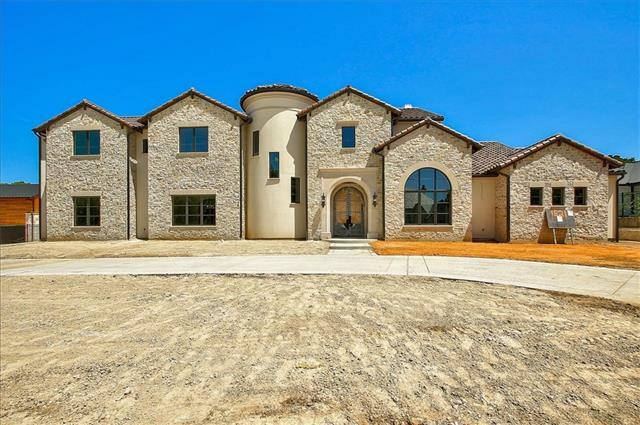 Family room offers wood beams, stone fireplace & a wall of windows that overlooks a tropical oasis featuring a pool, raised spa w 2 fire bo"
"Welcome to your very own custom luxury home in 10+ rated Carroll ISD! Pro-line chef's kitchen features a Sub-Zero refrigerator and Wolf appliances and opens to large family room, with sliding glass doors extending out to your outdoor living & kitchen area. Robust game room also has sliding glass doors opening to the luxurious outdoor living. Large 1st floor master bed with exquisite 300 sqft master bath featuring 2 closets (165sqft & 227sqft) w. seating area, separate vanities, safe room, built-"
"This is an opportunity to build your dream home in the first gated community in Southlake in more than 15 years, on a minimum 1 acre lot. 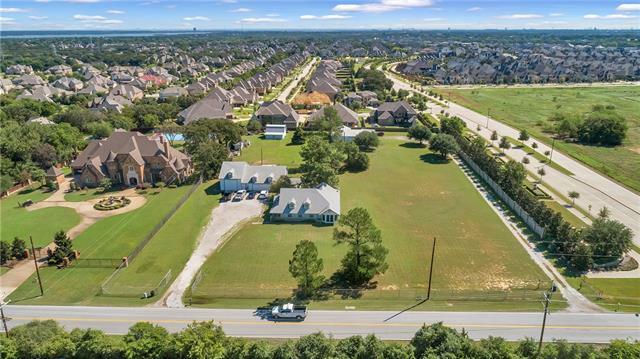 This is a build to suit opportunity for someone that would like to partner with David Baxter, of Accolade Luxury Properties, to build the exact home with all your specific details for your dream home on more than an acre in a new gated community in Southlake. The current plan is a single story with approximately 6,000 square foot of interior space. The floor"
"Tranquil retreat minutes from Southlake Town Square and your morning commute. Open and airy with high end finish out this home is elegantly designed yet features inviting spaces for gathering. Large windows across the back of the house allow for an abundance of natural light and views to the private wooded backyard. Kitchen is a true chef's dream with Viking appliances, designer tiles and an oversized granite island. With over 1100 square feet of covered outdoor living space, a separate caban"
"*OPEN ENROLLEMENT TO CARROLL ISD*Stunning Jimmy Lambert resale. Rare 6 bedroom on 1 acre with sport court and beautiful pool! Large media & game room with private kitchens. Perfect for entertaining with gourmet kitchen containing Viking and Sub-zero appliances, multiple living areas, wine room & perfect split floorplan provides privacy outside of the main living areas. Grand study with fireplace and multiple built ins! 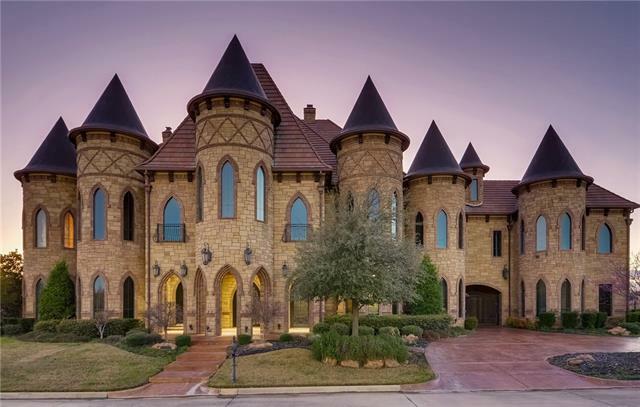 ***AGENTS PLEASE SEE PRIVATE REMARKS***"
"STUNNING ESTATE IN SOUTHLAKE'S- HIDDEN GEM- IN A PRESTIGIOUS GATED ENCLAVE OF HOMES! Beautifully appointed and exquisite details throughout this fine estate including extensive hardwood & marble flooring; paneled library; brick & stone accent walls in kitchen & family room featuring wood beam ceilings*separate wine room w- a cozy fireplace* Spacious bedroom sizes including master suite w- a luxurious bath with it's own fireplace & utility area* Fabulous kitchen offers an offset butler's pantry-"
"Incredibly immaculate and totally remodeled luxury home in the oh so elegant Clariden Ranch!. With a full smart home Control 4 technology integrated set up, and over $450,000 in beautiful custom remodels this one won't last with such a spectacular outdoor living oasis. Open enrollment to Carroll Independent School District for Southlake residents." 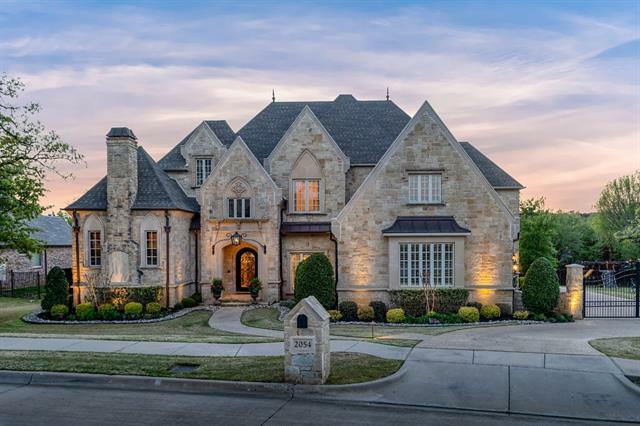 "Executive estate home superb location in Southlake, premier community in DFW. Award winning Carroll ISD schools nearby famed Southlake shopping & easy access to highways. Amazing outdoor living area oasis w gorgeous salt water diving pool, fountains & gardens. Breathtaking finishes highlight this home's stunning features. A large gourmet kitchen w high end appliances opens to cozy family room. Abundant storage & numerous living spaces, office, media, game & exercise rooms. First floor gues"
"2.77 Acres to build your dream home directly adjacent to the recently approved Village at Carillon Parc which will feature chef-driven restaurants, boutique shops, a luxury hotel, Southlake public library, an amphitheater and 9 acre park with stunning water features! This high-end European-style 42 acre development with top dining, shopping and entertainment options will be a short walk from home. Rare opportunity to build the custom home you have dreamed about on acreage with no HOA in Carroll "